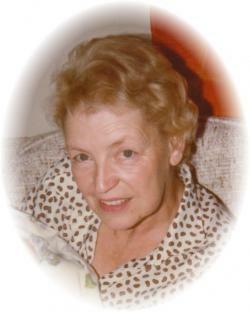 Elonore Castagne (nee) Thibodeau, age 95, daughter of Adrien and Bernadette Thibodeau. Born in 1923, in Blind River, On. She married Maurice Durocher in 1946. Where they lived in Sault Ste Marie. They raised 2 sons; Andre and Philippe. She worked as a nurses aide at a job she still talked about recently. She was widowed in 1960 and remarried to Alphonse Castagne in 1964 and moved to Thunder Bay. Eleonore, Alphonse and their youngest son Philippe started a Rock Shop and worked there over the following years. The business grew to include Pearl Lake Amethyst mine and 4 gift shops. Her amethyst clocks, jewellery and many creations became the gift for all occasions. Eleonore was the matriarch of 6 grandchildren, 15 great grandchildren. She is predeceased by her son, the late Andre (surviving wife Sharon) late Fern Thibodeau (surviving wife Helen), late Aline Digasparro and husband Fred, the late Henry Thibodeau and wife Eva. She is survived by sister Adrienne Stephen (Late Don), sister Dorina Nanne (late Sylvio), sister Lorraine Weeks (late David) and brother John Thibodeau, wife Marriette. In lieu of flowers please send all donations to the 55 Plus, 700 River St., Thunder Bay, On, P7A 3S6 Phone (807) 684-3066. Her last days were spent in Murray harbour, PEI where her fondest memories were of country drives and eating out on fish and chips. By personal request no visiting or service here. A service will be held at a later date in Sault Saint Marie, On.